By Audrey Golden. Aug 29, 2017. 9:00 AM. The study of the law often is viewed in opposition to careers requiring creativity. Yet many notable novelists and poets actually have attended law school, and even more have actually graduated and practiced law in some capacity. While it might sound strange to think of fiction or poetry writing and the study of law being interwoven, we believe there’s a close relationship between the thinking and reading practices that occur in both fields. To give you a sense of some of the distinct and varied writers who went to law school, we’d like to provide some information about a handful of poets and novelists and their experiences studying the law. 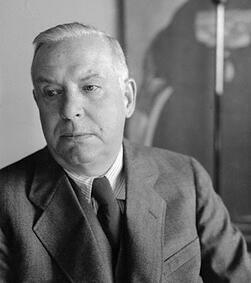 You probably know Wallace Stevens best as a modernist American poet. Indeed, he won the Pulitzer Prize for Poetry in 1955 with his Collected Poems. Did you know that he also went to law school, passed the New York Bar, and worked briefly as a lawyer in New York City? It’s true. Stevens graduated from New York School of Law just after the turn of the twentieth century, and he worked in firms throughout the city until 1908, after which time he worked as in-house counsel for an insurance company. It wasn’t until his immersion in the modernist art and poetry scene in New York City, through writers like Marianne Moore and William Carlos Williams, that Stevens began publishing his poetry. In 1914, while still practicing insurance law, Stevens published two poems. The rest is history. Federico García Lorca is best known for his works of poetry and drama written prior to and during the Spanish Civil War. He was ultimately executed by Franco’s totalitarian regime in 1936. He is among the best-known Spanish poets and playwrights of the twentieth century. What most people don’t know is that he briefly studied law before giving it up in favor of imaginative literature. We think there’s a clear connection between Leslie Marmon Silko’s novels and matters of indigenous law and land rights in America. 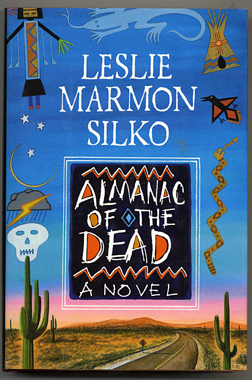 In particular, her novel Almanac of the Dead (1991) deals closely with matters of sovereignty and self-determination on the Laguna Pueblo and surrounding areas of New Mexico and Arizona. Her other works include the poetry collection Laguna Woman (1974), the novel Ceremony (1977), her memoir The Turquoise Ledge (2010), and other works of poetry and mixed media. Silko was born in Albuquerque, New Mexico in 1948 and grew up along the border of the Laguna Pueblo. When did Silko attend law school? After graduating from the University of New Mexico with a bachelor’s degree in 1969, she enrolled in the J.D. program at the School of Law at the University of New Mexico. While she left before graduating, we might imagine the ways in which her writing reflects her brief foray into legal study. One of our favorite songwriters and poets, we think about the recent death of Leonard Cohen—and all of the loss that comes with it—frequently these days. While you may know quite a bit about Leonard Cohen, we’d bet that you didn’t know he briefly studied law. After graduating from McGill University with his B.A. in 1955, Cohen spent a semester at the McGill law faculty. Of course, he didn’t finish a law degree and went on, instead, to musical and literary fame. The Nobel Prize-winning poet and novelist Czesław Miłosz, who endured years of totalitarian dictatorship in Nazi-occupied and Soviet-occupied Poland, received a law degree from the University of Vilnius in 1934. In his poetry, Miłosz addresses matters of exile, forced migration, and dictatorship. We can only imagine that his study of the law played some role in his thinking about the necessary links among art, jurisprudence, and political resistance. There are many famous writers who have studied the law. How does such study impact the writing of imaginative literature? It’s time to buy some new books and decide for yourself!